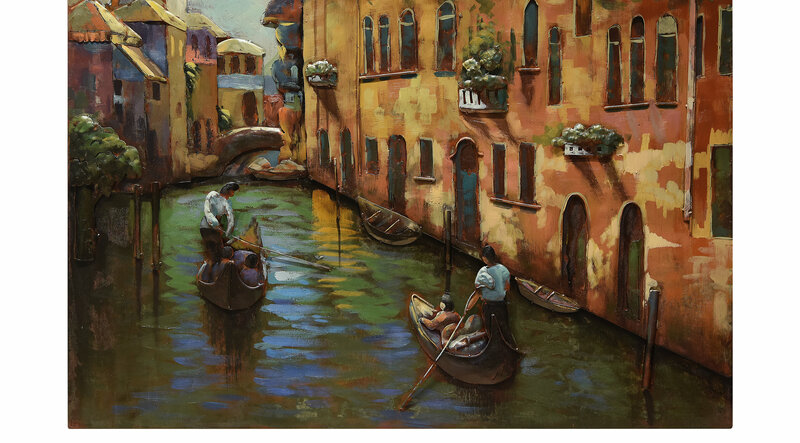 Add an Italian flair to any interior room with this stunning artwork. This piece features the famous sight of Burano. This piece is hand painted on iron for a dimensional look.